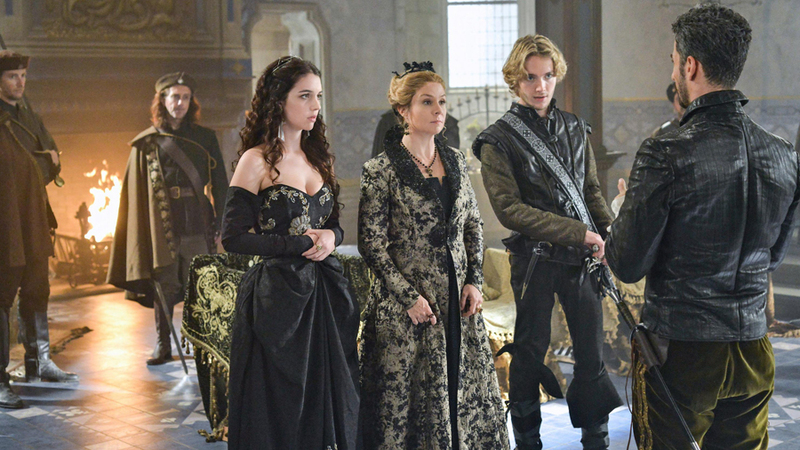 “Reign” will no longer be reigning over the CW — after next season, that is. Sources tell Variety that Season 4 of the historical fantasy series, which begins in Feb. 2017, will be its last. The fourth season is currently still in production, so the team behind “Reign” will be able to work on a series finale, knowing that it will be the final episode, giving fans a real conclusion to the story of Mary Queen of Scots. Insiders say that conversations about the show’s possible ending have been ongoing with producers, so the decision to make this season the last were not totally unexpected. “Reign” follows the early days of Mary Queen of Scots, who is played by Adelaide Kane. The cast is rounded out by Megan Follows, Torrance Coombs, Toby Regbo, Celina Sinden and Anna Popplewell.The show, created by Stephanie Sengupta and Laurie McCarthy, premiered in the 2013-2014 season. “Reign” wasn’t exactly a ratings powerhouse, even at the beginning of its run: Season 1 began with a 0.8 rating in the advertiser-coveted 18-49 demographic but ended with a 0.4, while the total audience slipped from just under 2 million to 1.24 million. By the end of Season 3, it was averaging around a 0.3 in the demo and under 1 million viewers in Nielsen’s live-same-day ratings. Season 4 of “Reign” will consist of 16 episodes, so the series finale is tentatively slated for sometime in June. The final season kicks off on Friday, Feb. 10 at 9 p.m.